Joined as Chairman of Board of Directors on 28 February, 2018. 516th Board Meeting of Janata Bank Limited held on 21 March, 2018 (Wednesday) at 02.00 PM in Board Room. 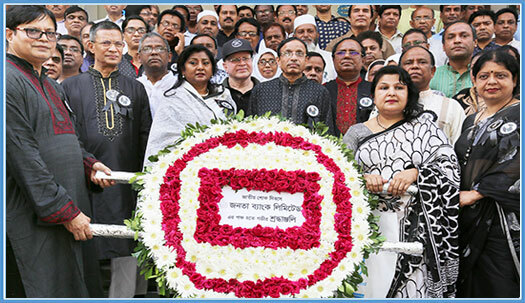 Luna Shamsuddoha Chairman of Janata Bank Limited placing a floral wreath at the portrait of Father of the Nation Bangabandhu Sheikh Mujibur Rahman on Dhanmondi Road-32. CEO & Managing Director Md. Abdus Salam Azad (FF), DMD Md. Ismail Hossain, Md. 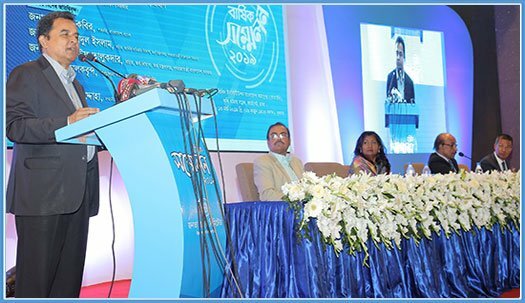 Fazlul Hoque, Md.Zikrul Hoque & Md. 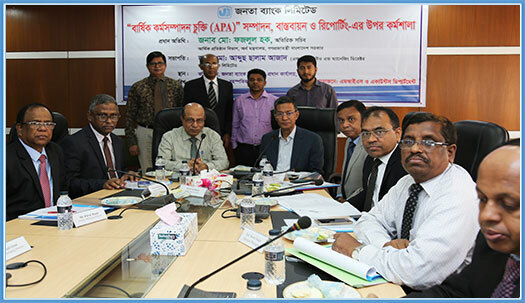 Tajul Islam along with executives, officers and staffs were present there. 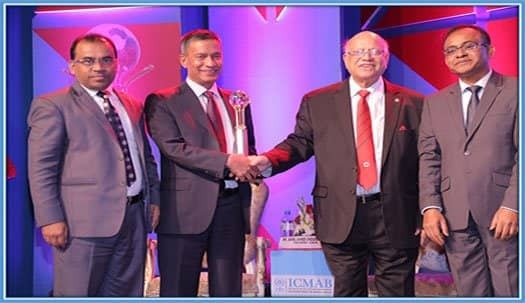 Janata Bank is awarded the Institute of Cost and Management Accountants of Bangladesh (ICMAB) National Award-2017. CEO and Managing Director Md. Abdus Salam Azad (FF) received the award from Finance Minister Abul Maal Abdul Muhith on 28 January, 2018. Workshop on 'Annual Performance Agreement (APA)' 2018-2019 Performing, Implementation and Reporting being conducted by Janata Bank Limited. 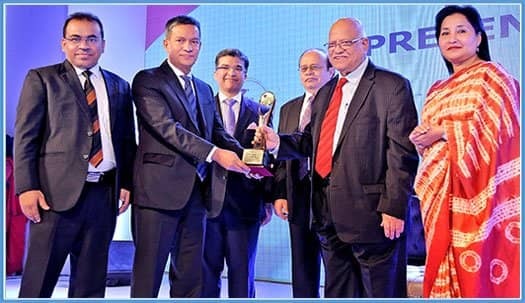 Janata bank Limited achieved “Bangladesh Bank Remittance Award-2017” as one of the highest remittance collecting Bank. CEO & Managing Director Md. Abdus Salam Azad (F.F) received the Award from the Honorable Finance Minister Abul Maal Abdul Muhith on 20 September, 2018 in presence of Bangladesh Bank Governor Mr. Fazle Kabir. 11th Annual General Meeting of Janata Bank Limited held on 14 May, 2018 in Bank’s Board Room. Luna Shamsuddoha, Chairman of the Bank presided over the meeting. Hon’ble Directors, CEO & MD and DMDs of the Bank were present on the occasion. 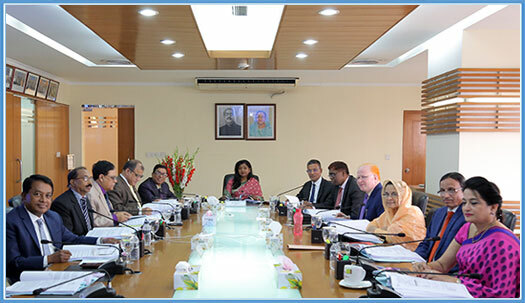 29th Risk Management Committee meeting held on 29 March, 2018. 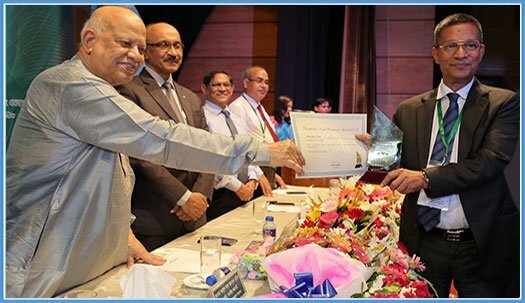 Janata Bank is awarded the Institute of Chartered Accountants of Bangladesh (ICAB) National Award-2016. CEO and Managing Director Md. Abdus Salam Azad (FF) received the award from Finance Minister Abul Maal Abdul Muhith on 25 November, 2017. Launching of ATM Operation of Janata Bank Limited UAE Branches. 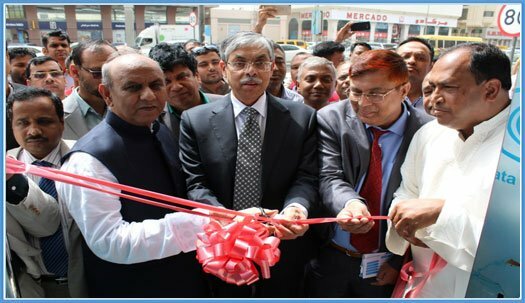 The ATM operation of Janata bank Limited UAE branches has been launched in a festive inauguration in Abu Dhabi, by H.E. Dr. Muhammad Imran, Hon'ble Ambassador of the Peoples Republic of Bangladesh to UAE on 26th March 2019, the Great independence Day of our Country. 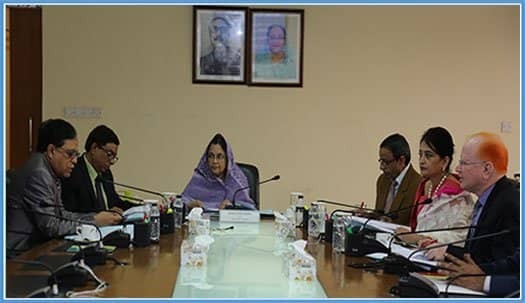 164th Audit Committee meeting of Board of Directors held on 20 March, 2018. Luna Shamsuddoha Chairman of Janata Bank Limited awarding Bangladesh U-15 women’s team players with a cheque during a grand reception organized by JBL to accolade for winning SAAF U-15 Women’s Football Championship 2017 at BFF Bhaban, Motijheel, Dhaka. Director Md. 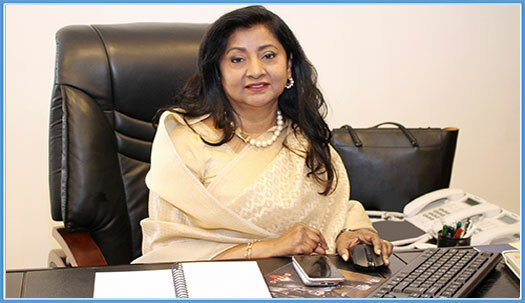 Mofazzal Husain, CEO & Managing Director Md. Abdus Salam Azad (F.F. ), all DMDs along with executives were present there. 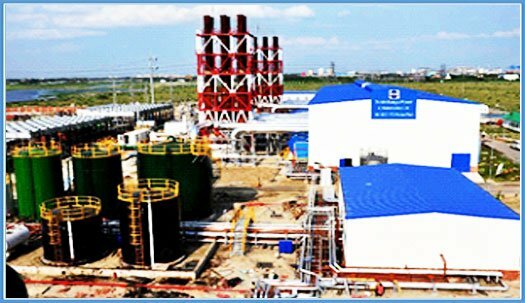 Janata Bank Limited financed to Dutch Bangla Power & Associates Ltd. 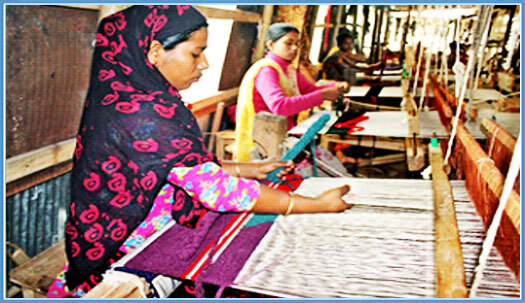 In the new framework of SME, Janata Bank Limited is giving top priority in developing & harnessing women entrepreneurs. 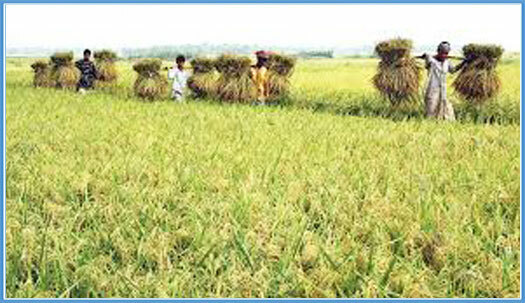 Farmers are the precious sons of this soil. They exert hard labor to produce food to feed us; we pay attention to bring smile in their faces by financing over diversified agricultural product throughout the year. 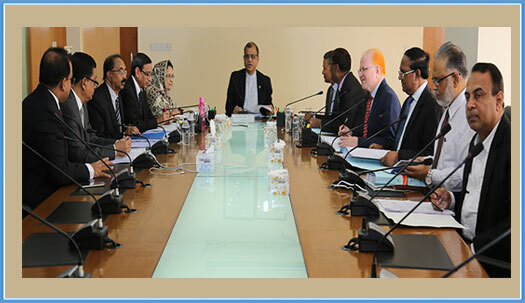 To become the effective largest commercial bank in Bangladesh to support socio-economic development of the country and to be a leading bank in South Asia. Janata Bank Limited will be an effective commercial bank by maintaining a stable growth strategy, delivering high quality financial products, providing excellent customer service through an experienced management team and ensuring good corporate governance in every step of banking network.